Electronic Payments — Called-in, Online, Mobile and More — All on One Platform. The landscape of electronic payment options available to your customers include more than the increasingly popular 'self-service' online and mobile payment channels. FTNI's ETran integrated receivables platform delivers a single user interface to accept payments made in person or over the phone using credit cards, ACH, checks, money orders and even cash payments. Many businesses still have outdated and inefficient methods of accepting, processing and posting called-in, mailed-in, and even in-person payments from their customers. ETran’s EPay module allows businesses a quick and easy way to look-up, edit and even add customer payment and billing information while having the ability to initiate a one-time or recurring ACH or credit card payments. 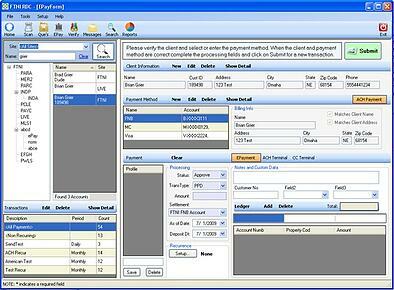 Users have the added benefit of being able to pull open specific invoices to associate with a payment as well. For those businesses that have the need to associate cash payments with customer accounts or open invoices, the EPay module can also facilitate the logging and posting of cash payments. 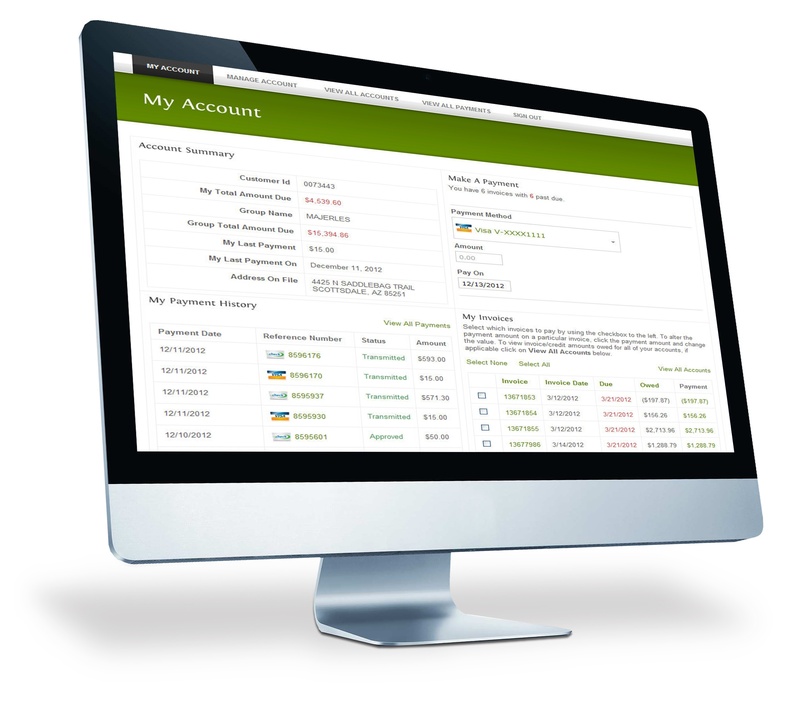 Similar to the ETran RDC module, users have access to the ETran's unique configurable ledger columns within the ETran EPay module to enable convenient association of payment information with ACH or credit card payments for posting to their back-office system. ETran’s back-office agnostic nature allows businesses to keep their their existing back-office system or systems in place while automating the manual, time-consuming, and error-prone tasks of posting payments. Based on unique business rules and needs, businesses can configure the ledger columns to the data they require, and ETran can associate the customer payment with the necessary data fields for posting purposes. As with the ETran RDC and ETran Mobile modules, the ETran's online payment solutions are also bank, merchant processor and back-office agnostic. Continuing the strategic goal of empowering you to accept, process and post any payment method, from any payment channel, all on a single platform. ETran's mobile payment solutions offer your company another efficient, flexible option to accept, process and post payments electronically from a mobile device. ETran Mobile is built upon and seamlessly integrated with the cloud-based ETran platform. Available for both iOS and Android, ETran Mobile gives your employees the ability to securely accept checks, ACH and credit card payments in the field while continuing to process and post all mobile payments from a single platform (ETran). SDKs are also available to allow you to leverage ETran's mobile payment processing capabilities within your company's own mobile app. Security and compliance are top-of-mind when it comes to payment solutions. And they should be. FTNI's ETran Integrated Receivables platform delivers the unique advantage of proactive security and compliance at multiple layers across the platform. First, at the application layer, ETran is PCI DSS Level 1 and HIPAA compliant. Second, our customers and partners benefit from an additional layer of compliance (PCI, HITRUST/HIPAA, SSAE16 and more) and industry-leading proactive security monitoring and operations from our hosting partner, Armor. Give your organization and your customers the convenience and flexibility needed in today's evolving electronic payments landscape by leveraging the industry-leading security, compliance and straight through processing capabilities that only FTNI's ETran Integrated Receivables Platform can provide. Ready to learn more? Contact us or request a demo.